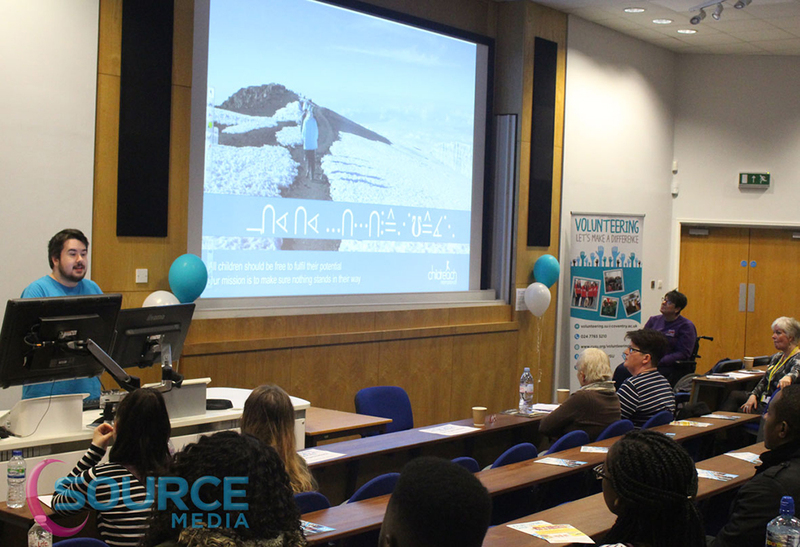 Every year, the University takes part in Student Volunteer Week and one of the highlights is ‘The Volunteering Showcase’ event, which this year was a resounding success, with over 60 students coming to hear about the volunteering opportunities available to them. Who can I volunteer for? 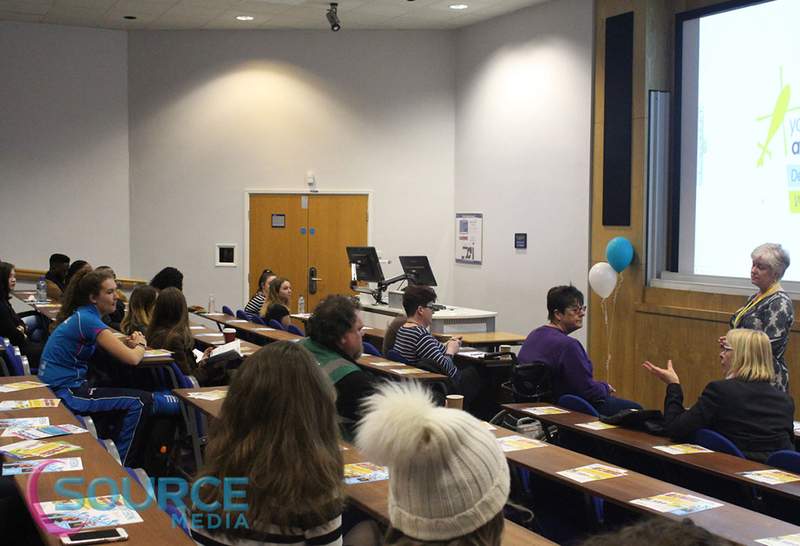 Thirteen organisations* came to speak to and encourage our students to volunteer. 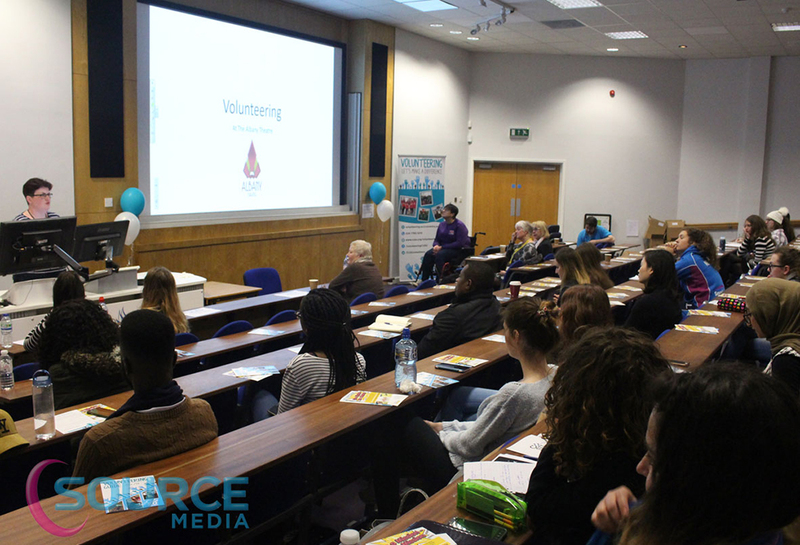 The Volunteering Showcase is aimed at students who want to do some volunteer work, but aren’t sure which charity or community organisation they would like to work for. One of the first organisations to speak was the Air Ambulance. They showed a film about their work and how they rely on volunteers to keep the helicopters in the air. The helicopters are leased by the charity and they have committed themselves to some new leases over the next few years. There are lots of areas where you can use the skills you already have to make a difference to a charity. With the Air Ambulance, the students were told that doing volunteer work for them meant that they could ‘save peoples’ lives and get life skills’. “It’s more than volunteering” said the Air Ambulance representative, Kate Sawyer. Another charity to send a representative was Birmingham’s PHAB Camps – a voluntary organisation who provide holidays which promote inclusion for disadvantaged young people, with and without disabilities, from the Birmingham area. A charity who really seemed to engage with the students was Child Reach International. They’re a global child rights movement working in five countries to ensure that children can take a stand and fulfil their own potential. As well as the big national charities, the students saw how the local charities rely heavily on donations and volunteers to survive. Charities like the ‘Coventry Foodbank’, ‘Grapevine’, ‘Carriers of Hope’, ‘Coventry Haven’ and the ‘WATCH Charity and Hillz FM’ in Hillfields, all need students to keep vital services to the community going. There were two charities who stood out from the rest as they are arts-focused: Coventry’s Albany Theatre and FabLab Coventry. FabLab Coventry has limited funding and relies upon members of the community to work with them. Coventry has a fantastic history of invention, design and manufacturing, and Fab Lab Coventry want to encourage Coventrians to become more technically skilled, in an environment that’s fun and open to everyone regardless of income or educational background. FabLab will also be supporting Coventry’s City of Culture bid for 2021! If you’d like to start your volunteering straight away, how about becoming a Digital Explorer as part of the bid efforts? Whether you’re thinking of joining us in May or September, or you’re already here with us – if you want to know how to get into volunteering, remember to look out for Student Volunteering Week next year. Or in the meantime, take a look at the opportunities available to you with the Centre for Global Engagement. Air Ambulance Service, Birmingham PHAB Camps, Coventry Foodbank, Coventry Haven, The Albany Theatre Trust, Child Reach International, British Heart Foundation, Fab Lab & City of Culture, Grapevine, WATCH Charity & Hillz FM, Carriers of Hope, United Nations Association and Action for Children.